Video: What is Released on Recognizance or an ROR Bond? What is ROR or Released on Recognizance? It’s a promise from the defendant that they will appear for all scheduled court appearances without posting bail This term is referred to as an “ROR” bond and “Release on Recognizance”. In order to determine a defendant’s eligibility for an ROR bond, a court administrator or judge will look at the severity of the crime, defendants criminal history and interview the defendant while in custody. 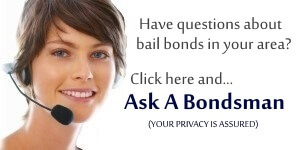 Typically, this type of bond is issued to a defendant who can be trusted not to flee and has no prior criminal record. How to Get Bail Bond Money Back From a Friend? What Do Bail Enforcement Agents Do? Hi my name is Tammy and I just wanted to send you a quick note here instead of calling you. I discovered your What is Released on Recognizance Bond or ROR website post and wanted to thank you for the bail information! It’s good to see someone writing about released on recognizance bonds, not many people understand that an ROR bond carries the same weight as commercial bail. You still have to check in, abide by the rules of the court and of course, pass drug tests and not get arrested for anything else. I believe that a commercial bail bond is better for a defendant. While it may cost a bit more to pay for a bail bond to get out of jail, you can be assured that a bondsman is keeping tabs on them. Want more info "about bail"? The name and date of birth of the person incarcerated. List of charges the person has been charged with.